With a plethora of particular,pleasant and pampering products, gift wrap paper by the piece, frames, address books, journals, guest books, pens, and stickers, Paper Packaging and Panache is truly a shopping place to discover. 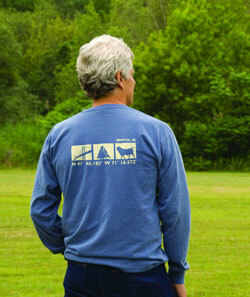 We are the exclusive dealer of the TownWear Bristol shirts, caps and sweatshirts featuring three local icons and the latitude and longitude of Bristol on the sleeve. 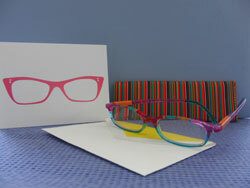 We carry a great selection of the popular ICU Eyewear to check out! 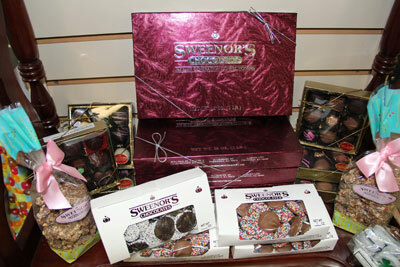 Sweenor's Chocolates, 4th generation chocolatiers from Garden City, Cranston, Rhode Island, since 1957. As always we offer complimentary gift wrapping. Or, you can purchase your own choice of special gift wrap and ribbons and we'll wrap your gifts for you! Gift wrapping service of non-purchased items available for a nominal fee.